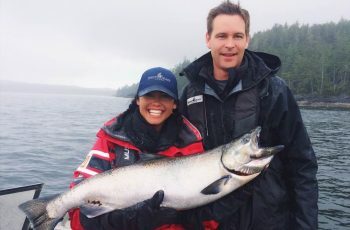 Numbers of Chinook have slowed but average size is up. Those “Hippas” or “Yellow Dotters’ , as CH head guide Screamer likes to call them, are now making an appearance. 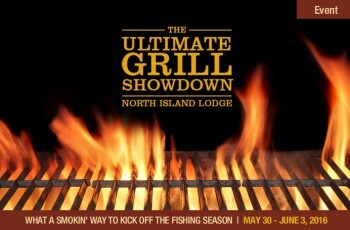 It has created a buzz around here and these deep bodied fish, Chinook with “shoulders”, are hitting the dock daily. All signs are again leading towards a promising week. 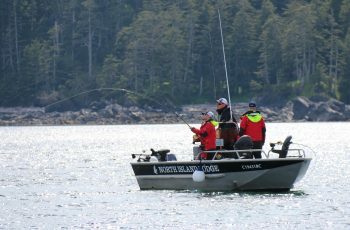 Coho are thick as well, guides finding patched of these veracious feeders around the island. 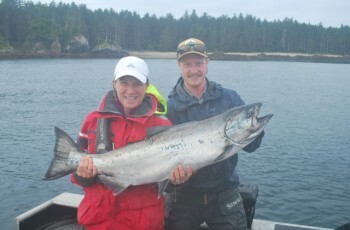 Here for the full week, Richard and Christina Masef find a nice 34lb Tyee and some time to ham it up with us! 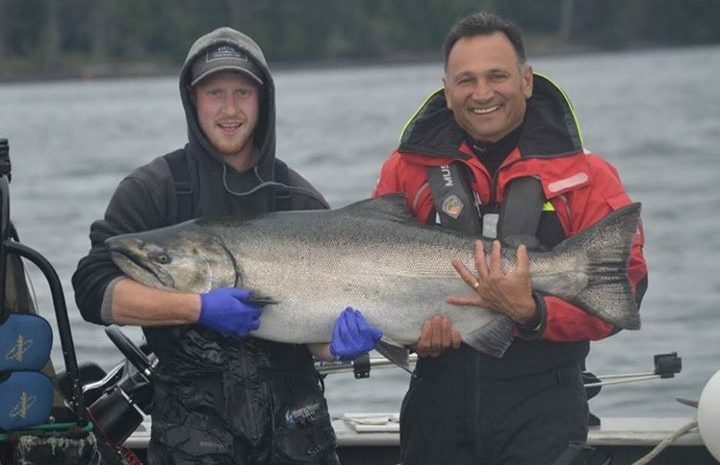 This 38.5lb Chinook grabbed David Willard’s cutplug right on the surface. 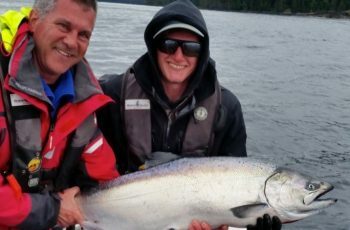 “I heard a splash and looked back to see a boil and a Tyee twisting on the surface while the line was still in my hand” , said guide Ryan. Mark Robinson of the Crown Cork group with his 36lber. Knowing that we are loosing the blogging race to the master Ken Beatty at the Outpost. NIL staffers have now taken it upon themselves to provide me with some fun and amazing photos. Photo compliments to Celina Bettesworth for these unreal shots. Langara is where the eagles soar. Good to see old man McIntyre back on the blog, Celina & crew keep up the pressure, we want to see whats happening up there.